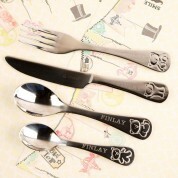 This luxury 4 piece set features children's sized cutlery for little hands! It makes a wonderful gift for a first birthday, Christening, Baptism or any other special occasion. 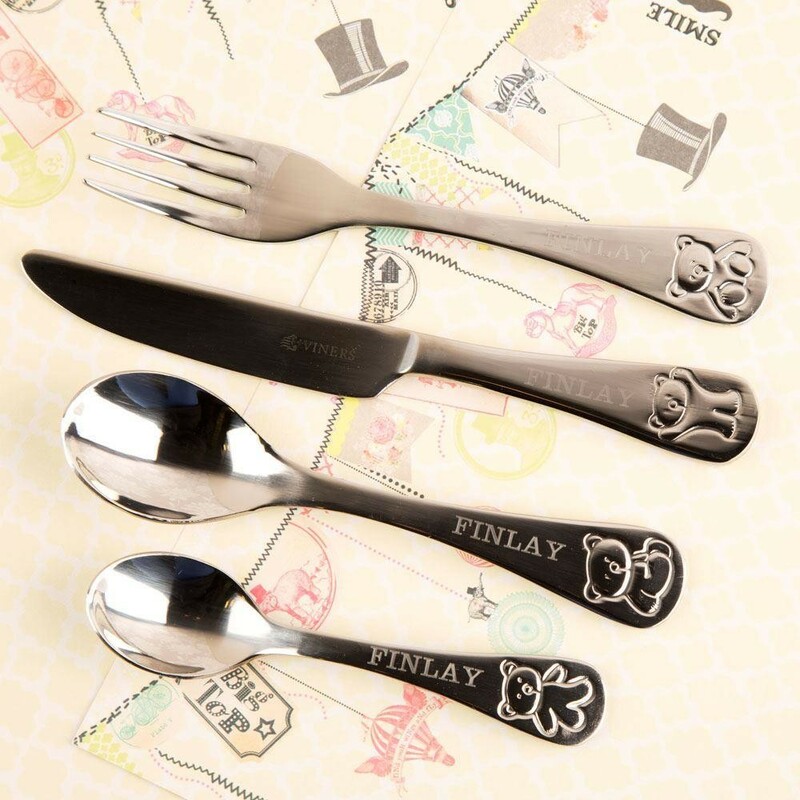 Our professional workers individually engrave the fork, knife, spoon and teaspoon with the child's first name, giving it a truly personal touch. 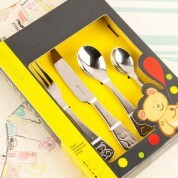 The embossed handles with children's bear character 'Bertie' makes this set an ideal gift for any little boy or girl. They will love to sit up with Mum and Dad at the dinner table as they learn their coordination skills - you might even be able to get them to eat their greens! It is dishwasher safe for a hassle-free daily routine and suitable for ages 1 -5 years (always use with adult supervision).